The Show Must Go On – When is it Acceptable for Bands to Cancel Performances? I am still in state of mourning as I write this post; coming to terms with the last week’s news that The Black Keys have been forced to cancel the European leg of their Turn Blue world tour due to Patrick Carney’s shoulder dislocation. Me and my brothers had booked our tickets way back in September last year, having waited eagerly for another chance to see the band after they blew us away in 2012 during their El Camino tour. The band have cancelled seventeen live dates, which means fans across Europe will be on tenterhooks as we wait for festival line up news and future tour dates. It is clear that the length of a world tour and the demand for venue space thwarted efforts by the rock duo to reschedule the European dates, meaning that a full cancellation and refund was the only option. Before I start sounding too negative, I would like to reaffirm my love for The Black Keys – their music is incredible and their live show is a musical spectacle unlike any other I am yet to see. It is a massive disappointment to not be seeing them again this February, though looking at Carney’s injury (see link below to his Instragram post) it is easy to see why he needs more time to recover. I also believe that the demands from some fans via social media for a replacement drummer to be arranged are completely unreasonable. Carney and his drumming form half of the band; him and Dan Auerbach having recorded and performed together for over a decade now. 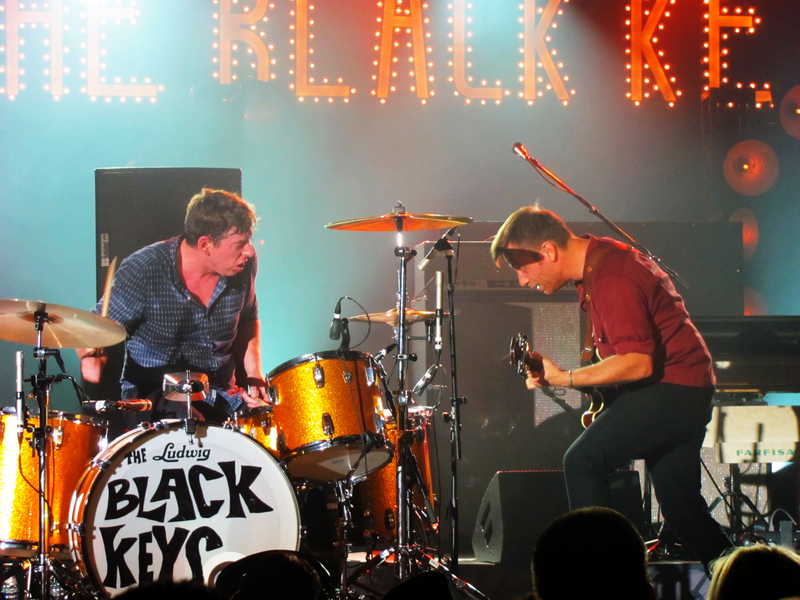 With The Black Keys being formed of just two people (with more added for parts of the live show) it would completely upset the dynamic of the music to use a different drummer. Indeed, the strength of the music of The Black Keys is based on the close relationship between Auerbach and Carney. For these reasons the band’s decision to cancel their tour while Carney recovers is completely justified. When I came to terms with this in my grief stricken mind I began to ponder – when is it OK for bands to cancel live performances? Should it be based on the number of people the band is formed by, and therefore the implications of replacing one member? Does plenty of notice given make us accept it any more than we do when bands pull out of shows at the last minute? Answers on a post card please. While I wait for those, here’s some brief consideration for you. This is in fact not the first (and in all probability not the last) time that I have missed out on a gig due to cancellation by the band. In November 2013 some friends and I were in the crowd of fans to see The Naked & Famous at The Institute in Birmingham. Having enjoyed some drinks in a neighbouring bar and the fantastic opening set by Sons & Lovers, we were most definitely in the mood for the gig. We were then surprised by the low key entrance made by the lead singer – Alisa Xayalith. This entrance turned out to be Xayalith making an apologetic announcement that due to the sickness of another band member (lead guitarist Thom Powers), they would be unable to perform. Interestingly enough, one of those in the group that night was the very same friend who was subjected to my questionable ability to use a calendar when he came to visit me in Seville (click to read more). Going back to the matter at hand, the cancellation by the Naked & Famous at such short notice – minutes before they were due on stage – meant that the only thing that would have shocked me more would have been for Xayalith to march through the crowd and slap me in the face. Disappointed as we were, it was admirable they made this announcement in person and were clearly heartbroken that they couldn’t perform. Even with more notice, a replacement musician would not have been an option here either due to Powers’ integrity within The Naked & Famous. You may have noticed that I support the decisions made by both of the bands that have cancelled performances I have been due to see. Injury or sickness are justifiable reasons to shelf a gig – even in a larger group replacing a band member completely upsets the dynamic of the performance. So what of other reasons for cancellation? During their Because We Can world tour in 2013 Bon Jovi replaced lead guitarist Richie Sambora with renowned session guitarist Phil X, who eventually toured with the band for over six months to finish off the tour. The length of Sambora’s absence and reason for leaving in the first place left no other option than to replace him in the band, lest the entire tour be cancelled. In the case of The Black Keys, they knew that two months of recovery would be enough for Carney to be able to resume drumming. In the case of Bon Jovi, Sambora departed the tour for personal reasons and for a far less obvious amount of time. He is yet to re-join Bon Jovi on tour, who knows if he ever will? With this in mind, I am happy to conclude that if a band is facing cancellation due to a member making a personal decision to not perform, they have a duty to their fans to bring in a replacement. While rescheduling is always preferable to a full cancellation; we must understand why a band would make the tough call to cancel a performance, especially when faced with sudden injury or illness. Here’s wishing Patrick Carney the speediest of speedy recoveries and hoping for new tour dates soon! Helloooo! Oh wow how exciting, thanks chum 🙂 ¡Muy bien! ¿y tu?